The 2000 fleet is one of the largest at CYC, at last count we had 38 members with a 2000 and the last couple of years has seen a real growth in enthusiasm for the class. The number of boats racing regularly has increased as has attendance at the training days. The 2000 is a great boat, fulfilling so many needs; it is large enough and stable enough to take two adults and a couple of kids out for a sail down to East Head, or can be raced at any level without being too demanding, great for a parent and child or a couple. For the more ambitious there is also a very active and lively series of open meetings all over the country as well as the Millennium Series and Annual Nationals. The 2000 is a very friendly, sociable fleet so if you need a helping hand with setting up the rig or advice on how to get the best out of your boat there will always be someone who can assist. The 2000 fleet has plenty going on, for those that want to, there are opportunities to race throughout the year. There is always a good entry of 2000s in both the club races and the open meetings. This year we are again hosting a Millennium Series Event for the 2000 Class, this is a 2 day, 6 race event and will hopefully attract over 20 boats from across the country. There are several training days planned during the year. These are enthusiastically supported by regular racers as well as less experienced crews keen to improve their boat handling skills. 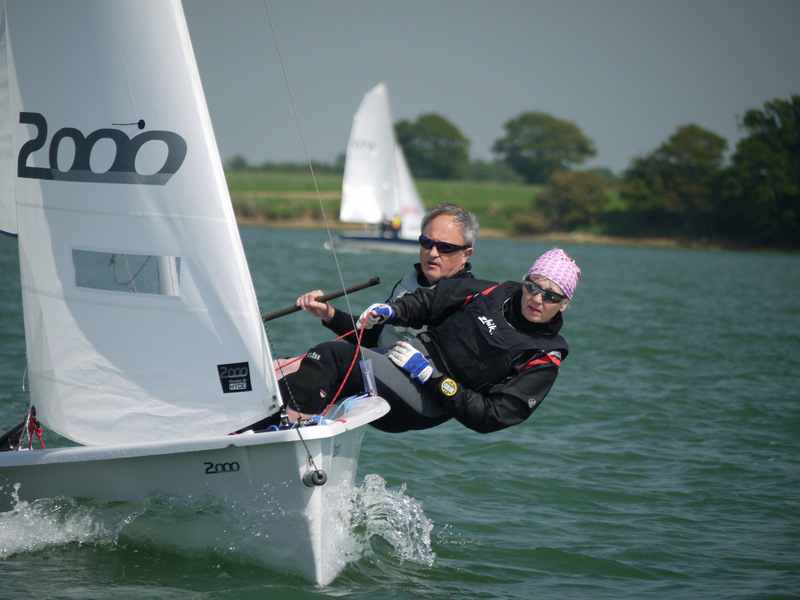 The sessions are run by club members and are always relaxed, sociable days out on the water. We always get a good turnout of 2000 sailors for the adult training days. Want more information on the 2000 Class?